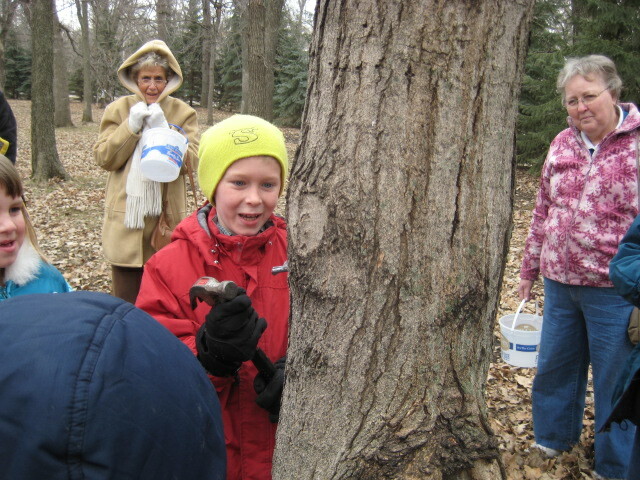 Making maple syrup is an exciting pastime that we have enjoyed for many years at Shetek Lutheran Ministries. We anxiously wait for the woods to wake up as winter transitions to spring, watching for signs such as icicles dripping and the geese returning. Once the temperatures are above freezing during the day, and below freezing at night, the sap begins to run within our many maple trees scattered across the Shetek landscape. 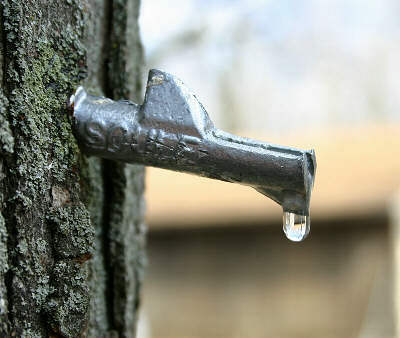 We collect the sap, boil it down, and make our delicious tap1947 homegrown maple syrup! How Can I Get Involved? I Want to Learn More! We offer a wide variety of programs and events that focus on making maple syrup, from field trips to our annual Sugarbush Pancake Breakfast. Take a look at the following options to see which would work best for your family or organization! Interested in learning how to make maple syrup on your own? Look no further for opportunities to experience the fun of tapping trees and boiling off your own homemade syrup! Classes are offered every spring that focus on every facet of harvesting sap and making syrup–please see our Events page for a class description and registration options! We also have our annual Sugarbush Pancake Breakfast, featuring tapping and boiling off demonstrations, taste-tests of sap and syrup, horse rides, and so much more! And, if you’re feeling philanthropic, we are always excited to have extra hands making maple syrup off-schedule (our EE Director’s family works day and night harvesting and boiling during the short Sugarbush season!). Individuals and families alike are welcome to visit us and volunteer. Please call Katie at 507.763.3567 to give of your time and muscles! 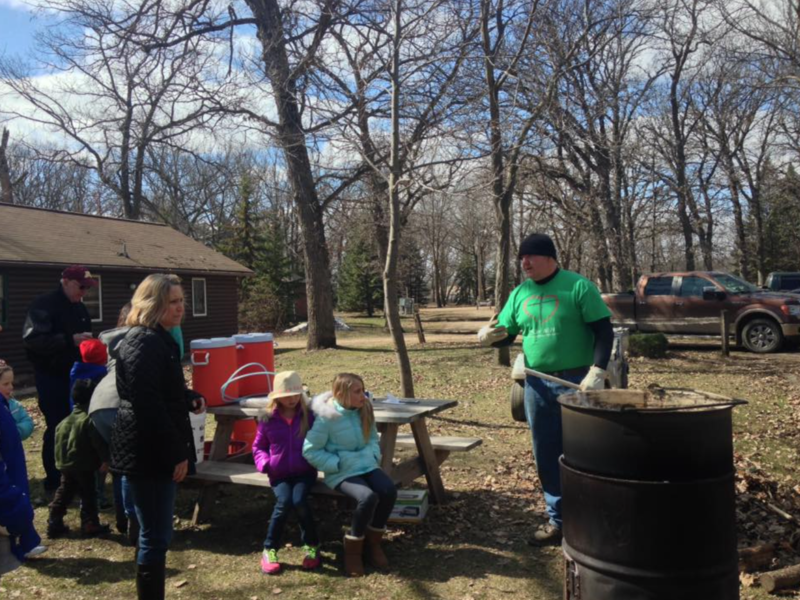 Schools and other organizations are welcome to schedule field trips at Shetek Lutheran Ministries focused on making maple syrup. We learn experientially at camp and so classes will learn about identifying maple trees, tapping trees and harvesting sap, running the evaporator, and all about the canning process during your stay at camp. Field trips will generally follow the same schedule of activities, depending on arrival and departure times. Please see our Field Trip Guide page for details on fees and scheduling. 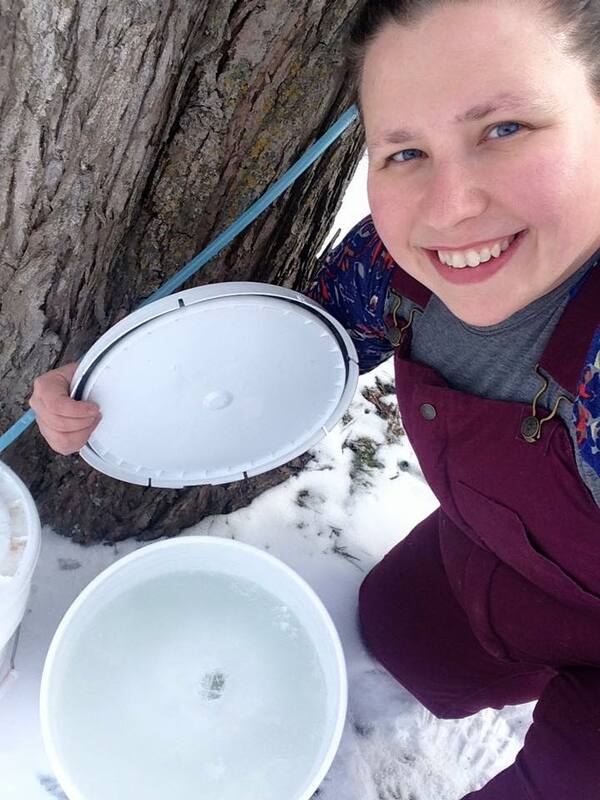 If you have had a maple syruping field trip with us before and would like different activities, please contact Katie to set up a new variety of experiences for your group! Shetek Lutheran Ministries offers five different species of maple trees, all of which are good to tap for harvesting sap. Most prominent are the large and old silver maples, with their thin and narrowly pointed leaves and flaky, silvery bark. We also have a scattering of sugar maples, distinguished by their thin bark and exceptionally colored fall leaves, and Norway maples, known best for their thick canopy of broad, deep green leaves. Shetek also features a few red maples and a decorative hybrid known as the Autumn Blaze. Most of these trees are tapped on a rotation at Shetek, as we just don’t have enough time and resources at this time to tap and harvest sap from all 125 maple trees at camp! 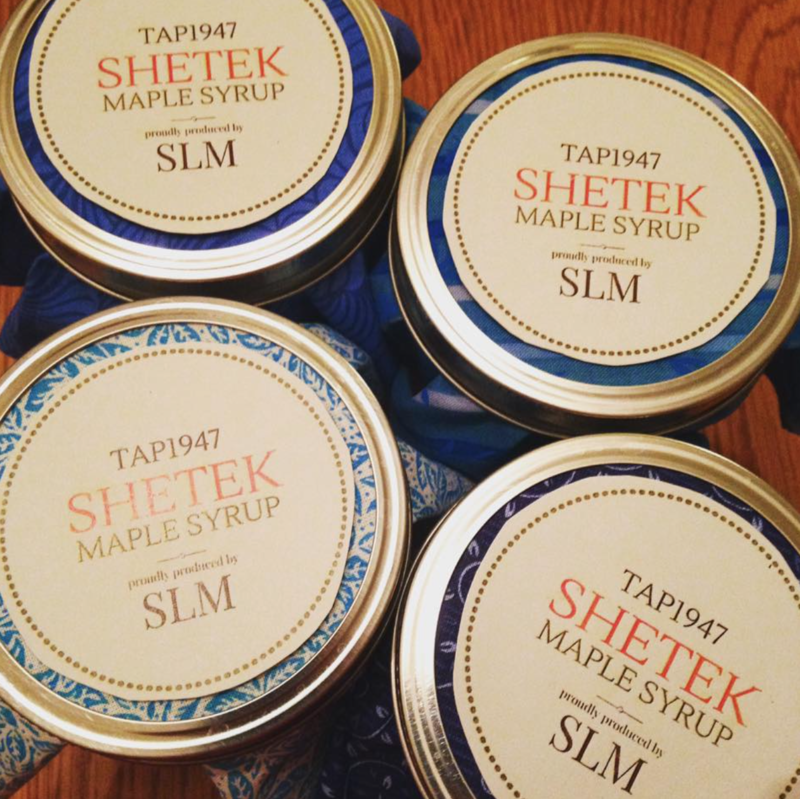 Our maple syrup is created using the sap harvested during our annual run at Shetek. We harvest the sap using power drills, steel taps, BPA-free plastic tubing, and food-grade 5-gallon buckets or 1-gallon jugs. The sap is then boiled off over a wood fired brick evaporator in a large steel kettle, until it is about 90% finished. The almost-syrup is brought into our commercial camp kitchen for final processing, filtering and canning. We currently average making between 5-10 gallons of delicious maple syrup every year, and as we become more efficient with harvesting and evaporating, our product yield will increase as well. The syrup is sold on-site through our SLM camp store by both pint and quart, and can be locally delivered or picked up at any time during the year. All profits go back to our Environmental Education program to continuously improve our maple syruping events, equipment and resources. Different programs have different fees.